Fascinated by steam trains as a boy when he lived in Philadelphia, General William Jackson Palmer spent most of his life as a railroad man. This led to his traveling west and eventually founding Colorado Springs in 1871. Born in 1836, Palmer went to work at age 17 for the engineering corps of Hempfield Railroad. At age 19, Edgar Thomson, president of the Pennsylvania Railroad, sent him to England and France to study railroad engineering and coal mining. Palmer returned in1856 as Thomson’s secretary. Palmer’s Quaker upbringing led him to abhor violence. However, his belief in antislavery was even stronger. In 1862, Captain Palmer, an expert scout and recruiter, raised an elite unit called the Anderson Troop in Pennsylvania. He later returned to his home state to recruit an entire regiment - the First Pennsylvania Calvary. After the Battle of Antietam, he was captured as a spy and imprisoned in Richmond at a Confederate jail. He returned to his troops in 1863, following being set free in a prisoner exchange. Palmer was confirmed in March 1865 as brevet brigadier general. He was the second youngest to achieve this rank in the Civil War. George Armstrong Custer was first. On January 14, 1865, at Red Hill, Alabama, Palmer and his men attacked and defeated a larger force, capturing 200 Confederate soldiers and one fieldpiece without losing a man. In 1894, he was awarded the Medal of Honor for that action. He had mustered out June 1865. In 1867, Palmer joined the Kansas Pacific Railroad and traveled west as part of a survey party. Their mission was to find the best route from Kansas City to California. In 1870, the railroad did reach Denver. Soon after, Palmer founded his own railroad, the Denver & Rio Grande Railroad with his friend, Dr. William Bell. The first tracks ran from Denver to Pikes Peak, then on to Colorado Springs, and eventually to Pueblo. His dream was to build a line extending from Denver to Mexico City. However, the Santa Fe blocked his vision as that railroad had secured Raton Pass for their territory. The Royal Gorge was another site where the two railroads competed, as the area was only wide enough for one line. A railroad war developed for right-of-way in 1879. After hostilities, the D&RG won the right-of-way in a court case in 1880. Eventually Palmer’s railroad ran from Pueblo to Alamosa then reached Durango. In 1881, Palmer started a new branch line, the Denver & Rio Grande Western. This railroad ran from Salt Lake City to the Colorado border where it connected with the D&RG which came north from Durango through Grand Junction. In 1889, the D&RG reached its maximum routes with 1,861 miles - the largest narrow gauge railroad system in the nation. 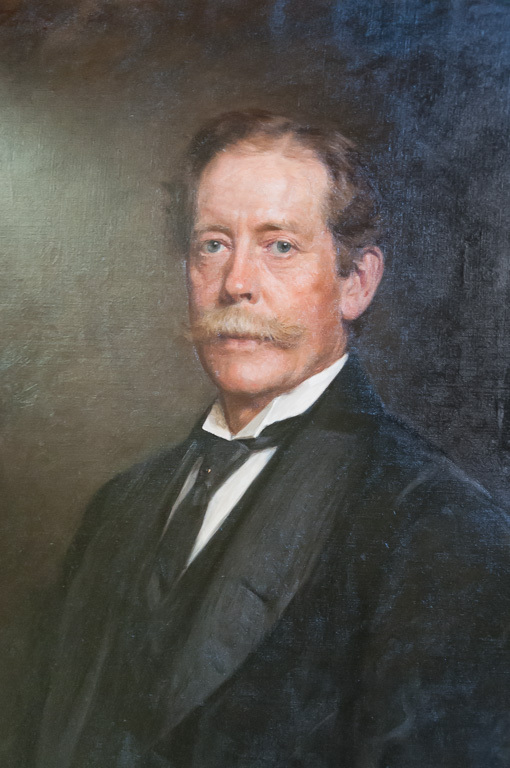 Although he never built his own railroad to Mexico, Palmer was asked by Mexico’s President Diaz to help plan and establish the Mexican Central Railway which had a route across Mexico. The Railway became the National Railroad of Mexico. In 1901, Palmer’s railroad career came to an end when he sold his interest in the D&RG for $6 million. He decided to share his profits by visiting the men who built his railroad and giving them $1 million in gifts. Among Palmer’s visions was to create an integrated complex based on steel manufacturing. He dreamed of one company controlling all resources. In 1879, he built the Colorado Coal and Iron Company’s steel mill south of Pueblo. This enabled iron rails to now be manufactured in Colorado. In 1892, CC&I merged with Colorado Fuel Company to form Colorado Fuel and Iron. It became Colorado’s largest employer for this time period. He was also a hotelier. On June 1, 1883, he opened the Queen Anne-style, Antlers Hotel. The hotel received its name because of the display of trophy animals, many with antlers, in the lobby. It burned down in 1898 and was rebuilt by 1901 as a 230-room resort. It survived for 50 years, when torn down, to be replaced by a more modern structure now owned by Hilton. In 1868, as part of his Kansas Pacific surveying trip, he visited the area that was to become Colorado Springs. 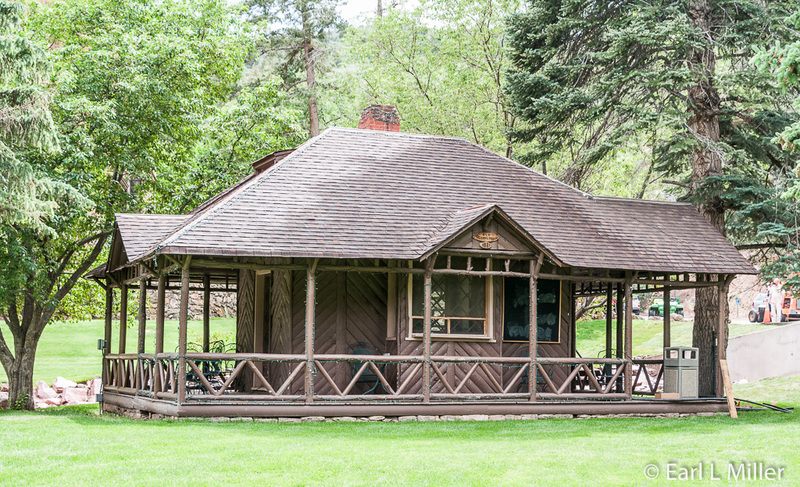 Palmer and his business partner, Dr. William Bell, founded the Colorado Springs Company which established Fountain Colony (later called Colorado Springs) and Manitou (later called Manitou Springs). Palmer donated parcels of land totaling 2,900 acres for a park system. In addition, he gave the land for Colorado College, the Colorado School for the Deaf and Blind, Colorado School of Forestry, libraries, churches, and hospitals. On November 8, 1870, he married Mary Lincoln “Queen” Mellen from Flushing, New York. Queen moved with her father, stepmother and their six children to Colorado Springs in October 1871. She was the first school teacher in Colorado Springs and responsible for naming many of the streets. Palmer had started building a new house for his bride which was not near completion when the Mellen family arrived. After building a carriage house where the family lived for a time, the Palmers constructed a 22-room house. They remodeled the home in 1881 to include a tower and additional rooms. The home was called Glen Eyrie. In 1880, at age 30, Queen had a heart attack. She was advised to move to lower altitudes, and in 1886 she moved to the East, then England, with the Palmer’s three daughters. She died in 1894. After her death, December 28, 1894, Palmer went to England to retrieve his wife’s remains and bring his daughters back to Colorado Springs. The General began plans to remodel the house into the castle visitors view today. Construction began in 1903 and lasted two years. During this period, Palmer and his daughters traveled to Europe to obtain fireplaces, artifacts, and heirlooms for Glen Eyrie. The castle had telephones, electric lights, an electric gate, a call button system, and indoor plumbing. Smoke from the fireplace was vented through tunnels to an exterior smokestack on the hill. After the Antler Hotel fire, the family put in a fire protection system. A gardener grew flowers and vegetables in two hothouses. In the creamery, Palmer installed one of the first pasteurization plants in the United States. Unfortunately, Queen never saw the completed home. Palmer, an expert horsemen, shunned automobiles. In 1906, while riding with his daughters and a friend, he was thrown from an unfamiliar horse to the ground. He suffered a broken neck and was paralyzed from the third rib down. He adapted an automobile for his use so he could tour his beloved grounds. Though disabled, he continued to entertain at Glen Eyrie including a reunion in 1907 for the 280 veterans of the 15th Pennsylvania Calvary. Palmer realized many could not afford travel expenses and spent more than $50,000 for a special train. More than 100 men from the troop came. He died March 13, 1909 at the age of 72. After his death, Palmer’s Glen Erie estate lay vacant until it was sold in1916. After several different owners, in 1953, it was purchased by the Navigators, an international nondenominational Christian organization. 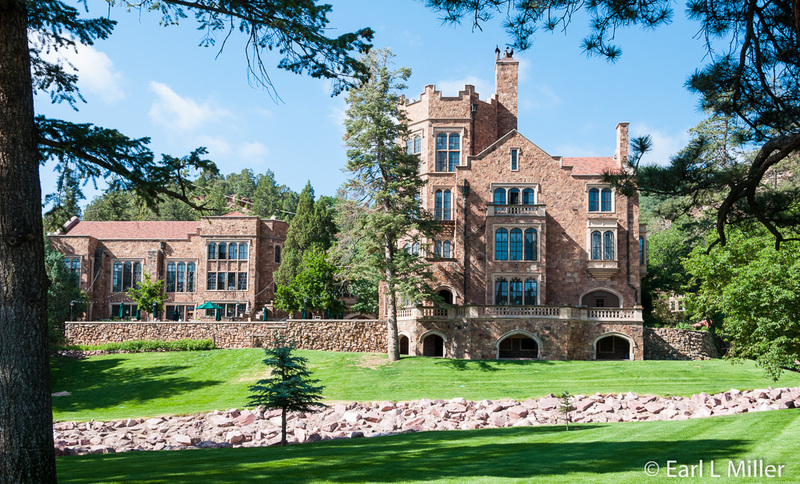 The group’s four-fold mission at Glen Eyrie is: (1) an international headquarters for the Navigators; (2) a year-round training program; (3) a conference center, and (4) a bed-and-breakfast where not only bedrooms in the Castle but other structures throughout the property are available for room rental. The mansion is open daily year-round at 1:00 p.m. for 90-minute tours. They serve tea at 2:30 in the Music Room, May through September. During the rest of the year, tea is available daily, except for Tuesdays and Wednesdays. 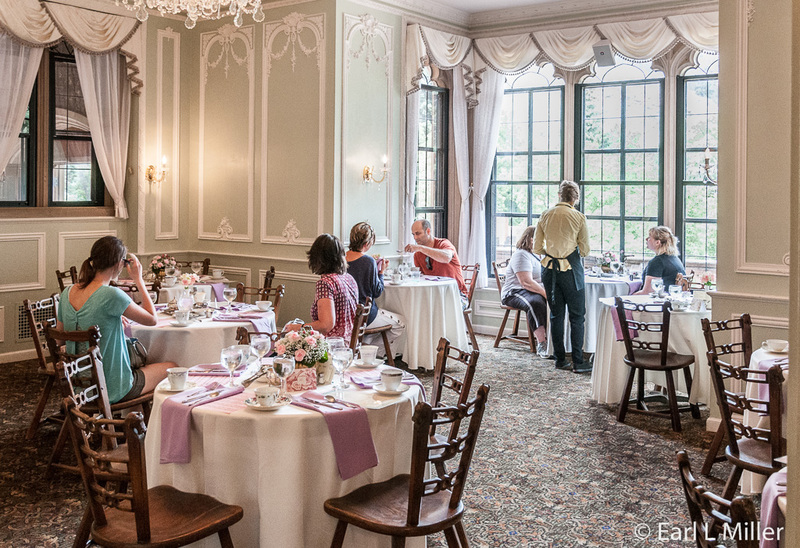 Reservations and advance payment are mandatory for teas and tours, sometimes as much as a week in advance. Tours costs $8 per person. The price of teas varies. 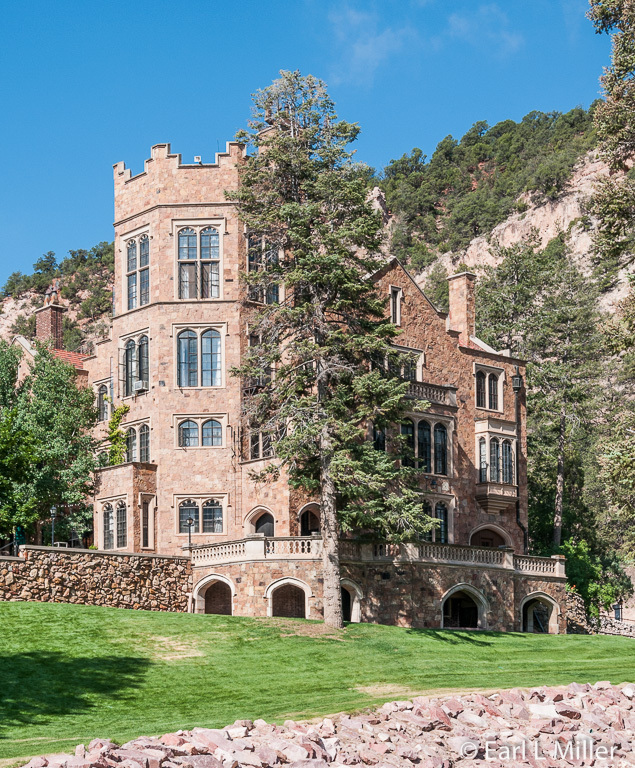 The tour starts at the Carriage House where visitors find a bookshop, primarily of Christian books, and then watch a 15-minute video “The Glen Eyrie Story.” As you ascend the hill to the Castle you’ll notice a schoolhouse built for Palmer’s daughter Elsie to attend during the Railroad Wars. Palmer feared she would be kidnaped if she attended another school. You’ll also note the Creamery. Inside the Castle, you’ll visit rooms on the first and second floors. 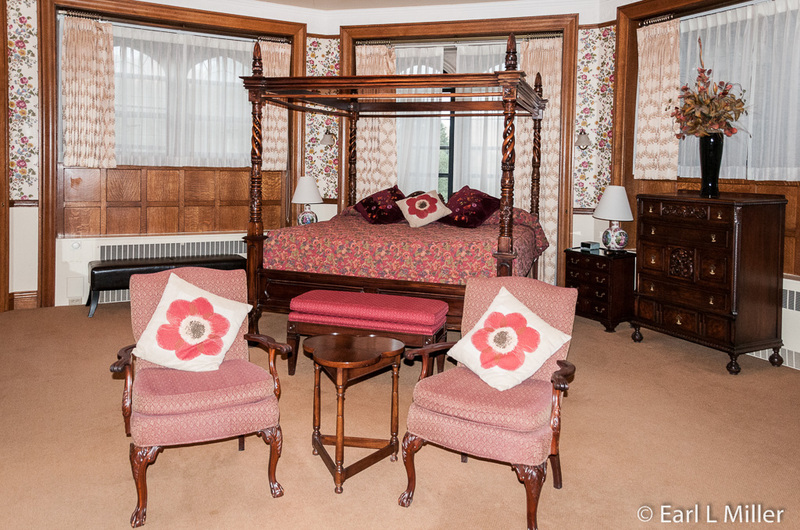 Original furniture and furnishings includes Palmer’s bedroom suite, found in an antique store; a humidor; and the fire fighting system. The only original roof tiles are those in the area below the solarium. The remaining tiles were replaced due to hail damage. An addition to the Castle is the Great Hall. There you view the original fireplace, chandelier and numerous animal heads, many dating to Palmer’s time. You’ll also note the balcony where the band used to sit while guests danced below. When the Ute Indians held their dances, guests would sit in the balcony. 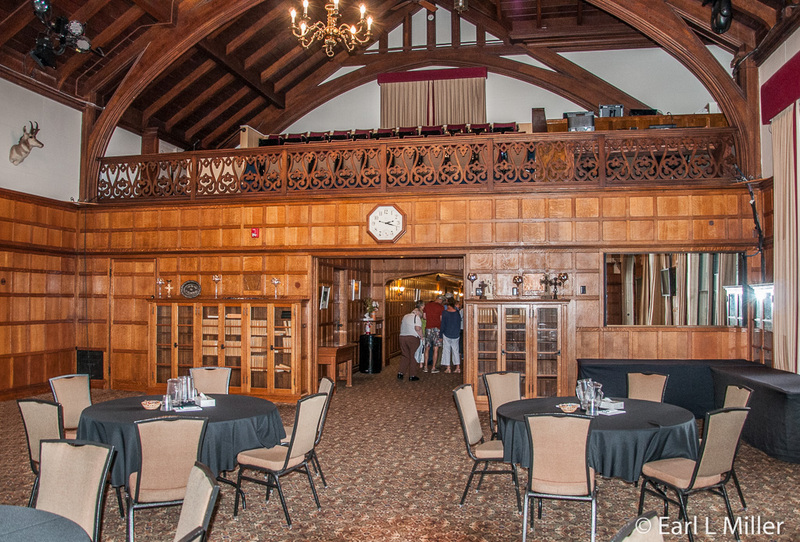 In this same hall, they held the annual Christmas Party for all the Colorado Springs children. As Palmer surveyed the grounds with John Blair, a noted Scottish landscape architect, Blair glanced up to see an eagle’s nest high in the rocks. 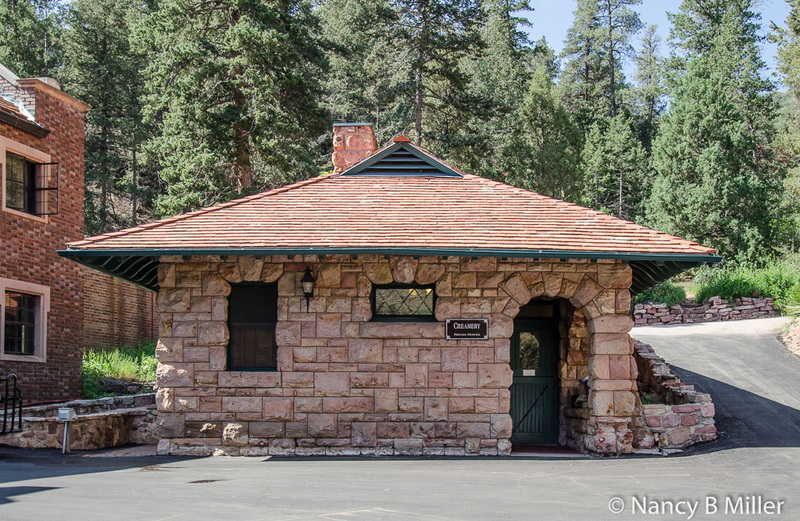 He said, “Glen Eyrie, valley of the eagle’s nest”. Palmer and Queen liked the name and that is how the estate got its name.